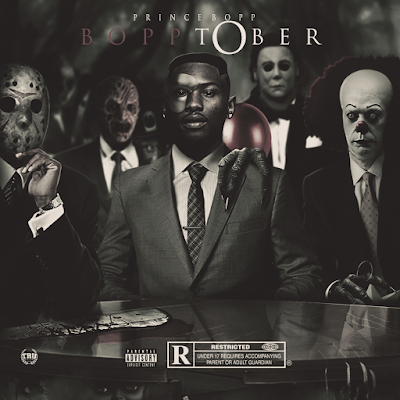 Prince Bopp has released his 2nd solo project BoppTober. Prince Bopp started off his music career with a local Cincinnati rap group called Scudda Bros and was recently signed to Adrien Broner's record label About Billions. Even though those adventures came to a end he still on the rise as a solo independent artist. BoppTober features other Cincinnati artist like Sada James, DaeWun, and Evan. Check out the mixtape below and keep up with Prince Bopp on IG @Prince_Bopp.